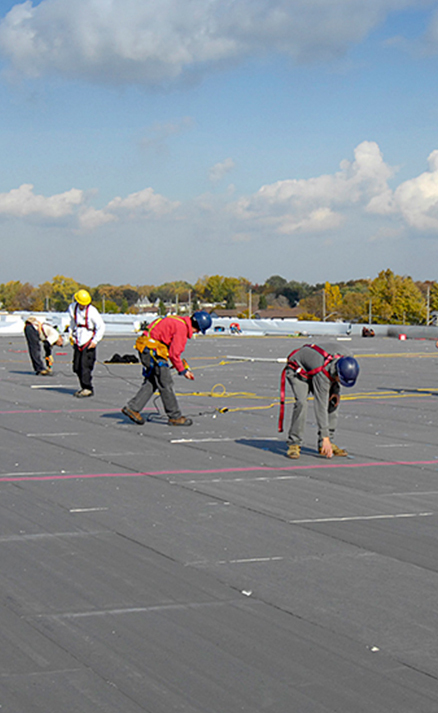 From our humble beginnings more than three generations ago, we have evolved into a leading roofing corporation servicing customers all across Canada and the United States. Empire Roofing was one of the first Canadian companies to offer TPO (Thermoplastic Polyolefin Roofing Membrane) produced by Firestone (yes, the tire company!) and is now the #1 Firestone Master Contractor in Canada. The focus of Empire Roofing has always been honesty, integrity and an unwavering commitment to customer service. Each member of the Empire team cares about doing great work and are incentivized to do so. We mandate regular training and perform scheduled and unscheduled onsite job inspections to ensure our team is safe and always on the top of their game. Our operations model has allowed us to grow to over 150 employees and we still maintain relationships with customers and suppliers from our very first year in business! Although best known for tires, many people do not realize that Firestone is one of the largest roofing manufacturers in the world. Empire Roofing Corporation has been a Firestone Master Contractor since 2009 and is the largest installer of Firestone building products in Canada (top 15 in America). There are 250 master contractors in the world and we are #1 of only 8 in Canada. We’re extremely proud to have been presented with the commercial roofing industry’s most notable awards such as: Platinum Master Contractor (which has never been awarded a Canadian contractor in its long history), Inner Circle of Quality Award and the Harvey Firestone Award.